Neymar is the latest and best football star in Brazil. The full name of Neymar is Neymar da Silva Santos Júnior who was born in the year February 5 1992 at Mogi das Cruzes, São Paulo, Brazil. Within a short period of football career, Neymar is already famous all around the world. The dribbling ability of Neymar is special and different from other footballers. 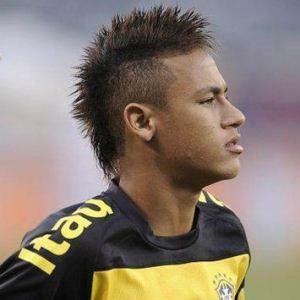 Neymar is the forward player in Brazil. Neymar is playing for Santos club. Neymar started his International career in 2009 under 17 world cup where he showed some brilliant performance. In the first match itself Neymar scored a goal against Japan. In 2010 he was selected for Brazil national team to play a friendly match against United States. His best achievement in his career is 2011 Copa America where he scored two goals against Ecuador. More details about the profile and awards of Neymar are given below. Achievements of Neymer, the Brazilian footballer in his career is given below.